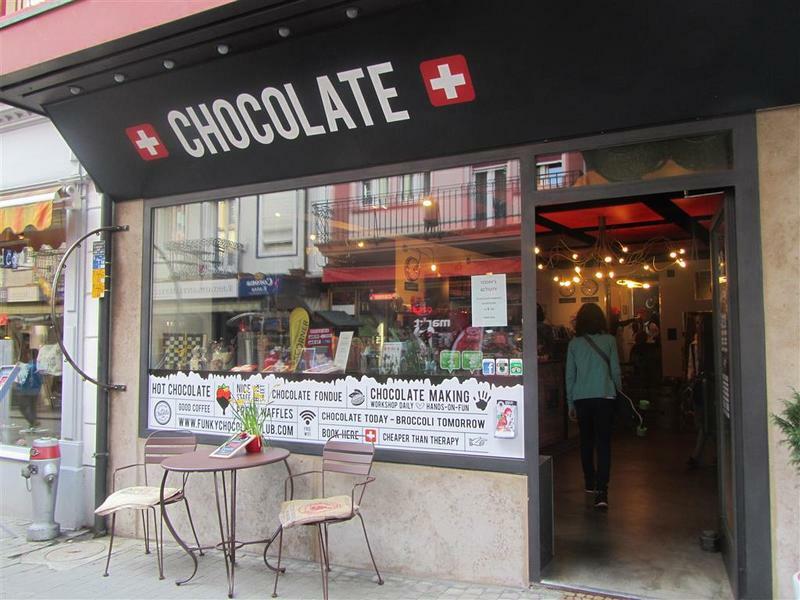 Funky Chocolate Club was discovered when a paraglider instructor told us that his girlfriend had opened a great chocolate shop, just the next street on from the landing field. 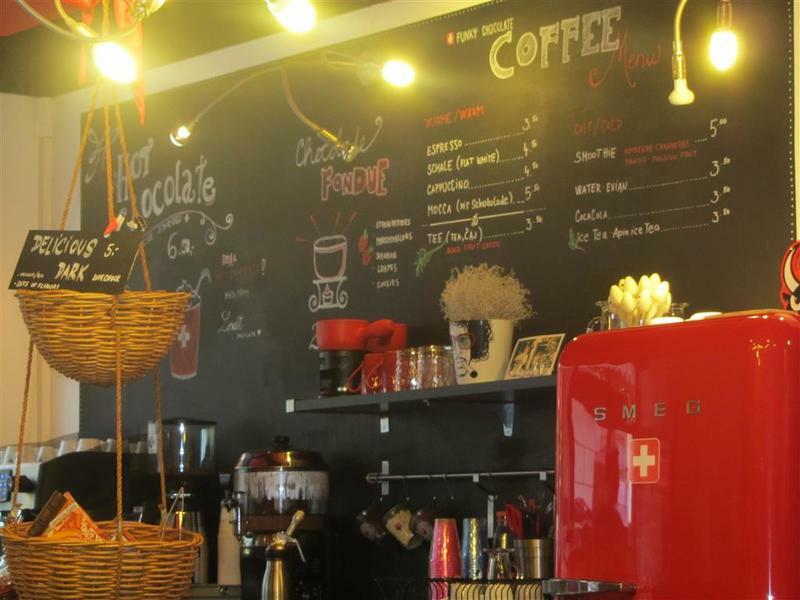 He told us that it does proper hot chocolate made from real chocolate. 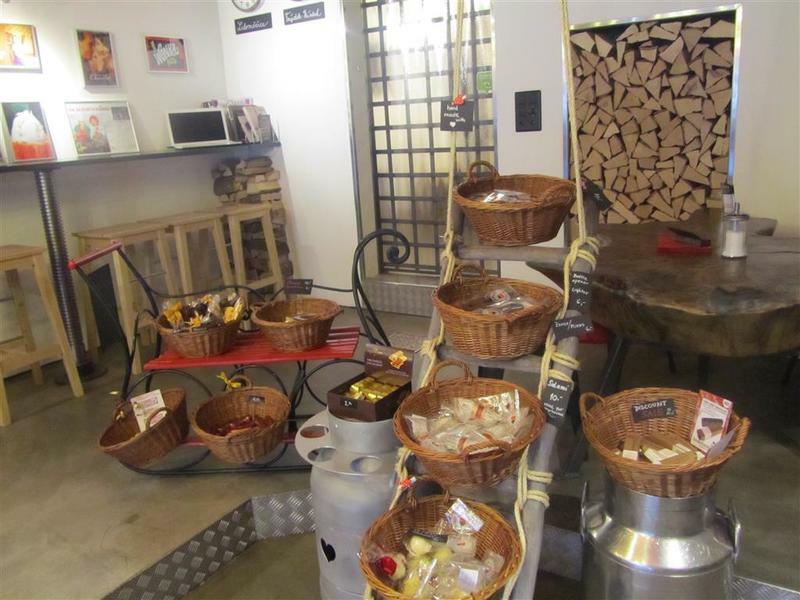 Lots of different chocolate bars and varieties are available at this shop, together with the chance to take part in chocolate making workshops. 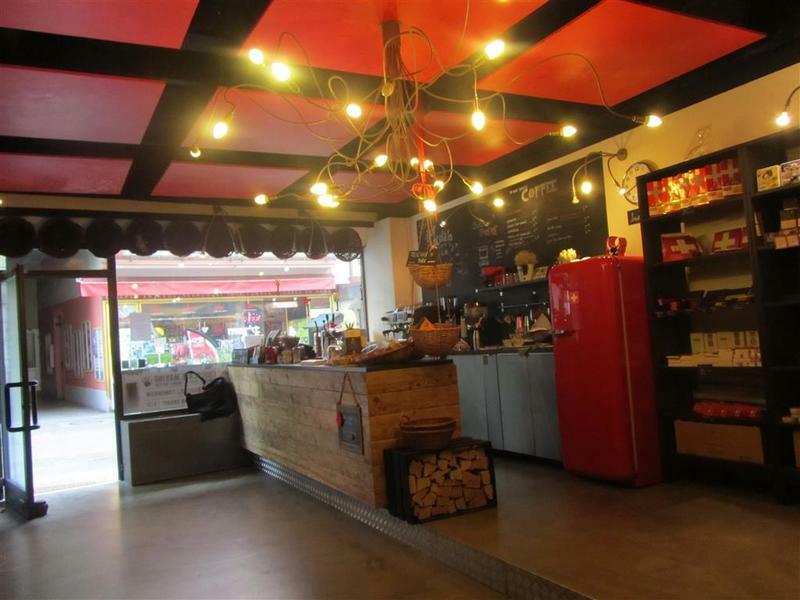 The cafe has a red and orange theme. 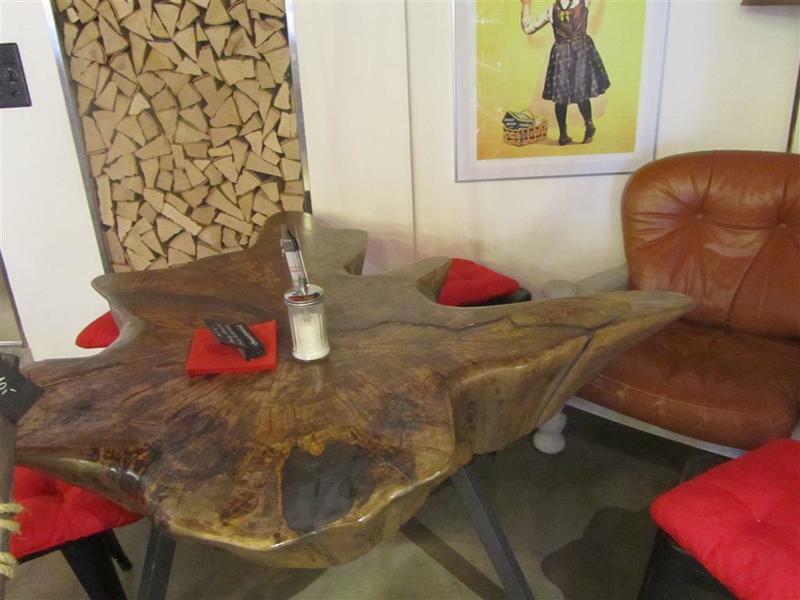 An oak leaf shaped table together with stools makes up the seating area adjacent to the shop. 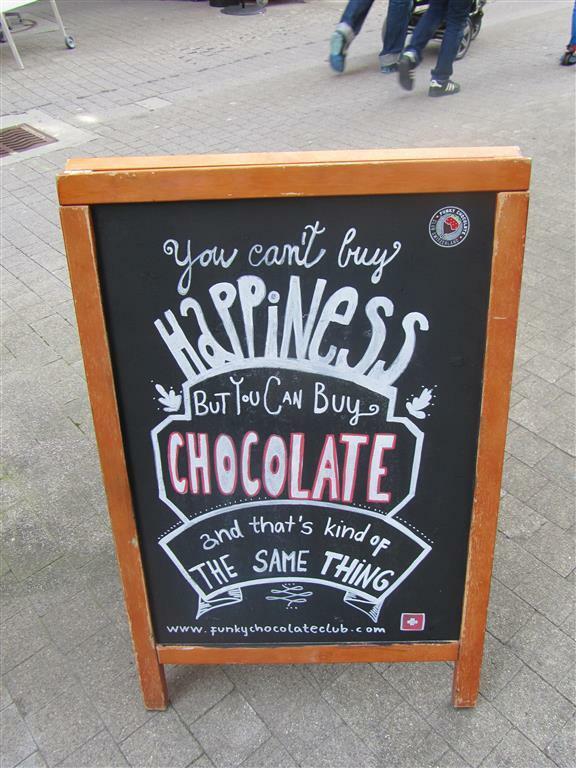 Funky Chocolate Club on this particular day had the hot chocolate made from caramel Lindt chocolate. 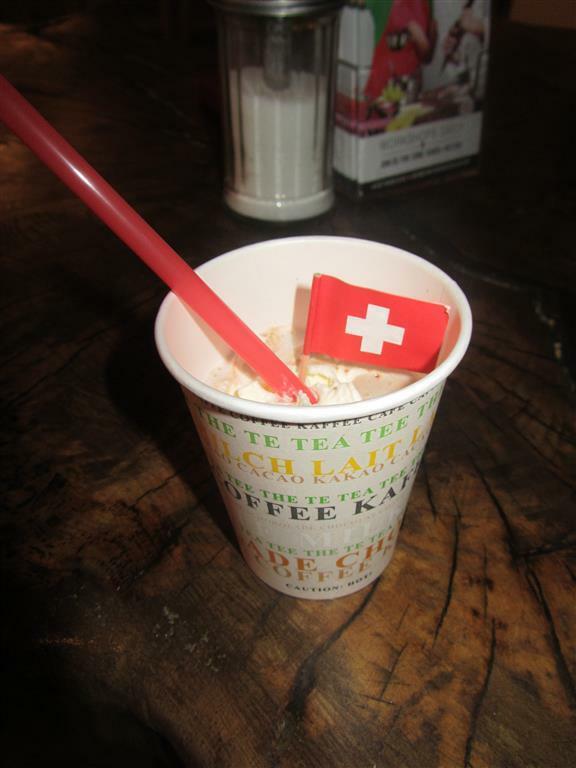 The hot chocolate was fairly sweet and it was topped with a little whipped cream and a Swiss flag. The hot chocolate was delicious and it made a welcome change to the sachets of powdered hot chocolate. The staff were friendly and gave lovely service. It was a bonus to be able to try some of the varieties of chocolate while we were being served our hot chocolate.